Home ⁄ The Wire ⁄ THE NEW RELEASE WALL FOR JULY 2014: PART 4 OF 4! THE NEW RELEASE WALL FOR JULY 2014: PART 4 OF 4! This is the last batch of releases for last month, before I turn right around the first bunch of August releases, out tomorrow. My hope is that my running commentary makes the wait a little more tolerable. We’re back on track as of today. If you see anything listed here you plan to buy, please do click through the cover icons to pick up the DVDs and Blu-Rays through us. We’ll love you forever, and forever is a mighty long time, you know. By any measure, Lawrence Kasdan is one of the more successful Hollywood screenwriters of the past thirty or forty years. Best known for his contributions to writing THE EMPIRE STRIKES BACK and RAIDERS OF THE LOST ARK, he’s back in that territory lately, working on the new STAR WARS sequels. Back in the early 1980s, his own directing career looked much different than these epic fantasy pictures did — he wrote and directed BODY HEAT, a highly-regarded ne0-noir starring William Hurt and Kathleen Turner, and followed that up with THE BIG CHILL, which brought back William Hurt along with a strong roster of then-emerging names, some of the better-known actors of the 1980s. Kasdan’s work is taught in screenwriting courses so it’s not too shocking that the Criterion Collection would select it, but my general sense is that THE BIG CHILL isn’t so universally beloved. The story concerns a group of college friends who are reunited a decade and a half down the road when one of them commits suicide. Notoriously, the soundtrack is stuffed with nostalgia tracks for the baby-boomer generation — it’s a great soundtrack, but this movie is probably the one to blame for every other white-bread drama, comedy, and trailer that make similar plays for audio broad-appeal. Also, a good amount of people just plain don’t like yuppies. (No such judgments here. Me, I’m ambiguous on the breed.) Cheekily, the Criterion release includes an essay by Lena Dunham, who probably represents to the culture now what yuppies and THE BIG CHILL represented then. A romantic comedy about competitive salsa dancing is not really something keyed into my particular wavelength, but Rashida Jones is a mighty lure. This horror re-release from Synapse has an eye-catchingly grotesque cover that makes it irresistible to a weirdo like yours truly. I have no familiarity with this one so it’ll be a fun discovery for me. 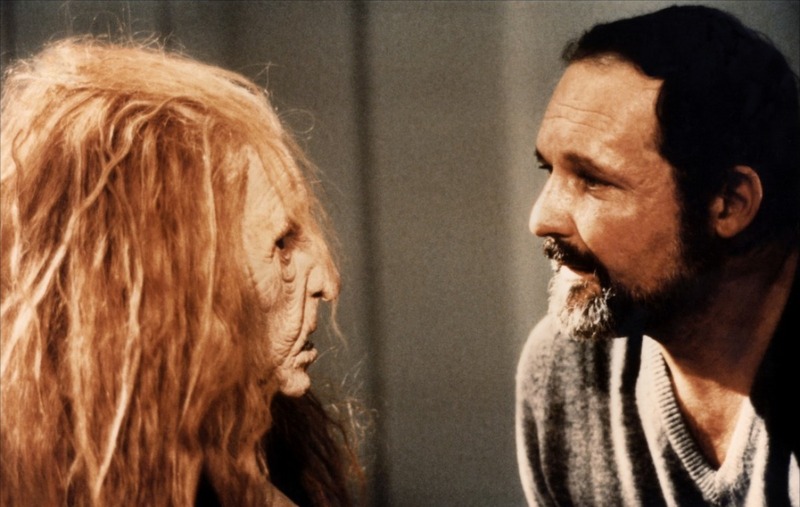 Really, I just want to know what John Vernon is discussing with that cronish ginger in the still frame above. Thank you, Canada! Update: Here’s a review for Daily Grindhouse of CURTAINS by the great Paul Freitag-Fey! James Garner passed away in July of this year, but gee whiz, you could do plenty worse than being immortalized in a poster that awesome. Doesn’t that make you want to watch this movie right this minute? In 1955, MARTY won Best Actor for Ernest Borgnine, Best Screenplay for Paddy Chayefsk, Best Director for Delbert Mann, and Best Picture just to top it off. 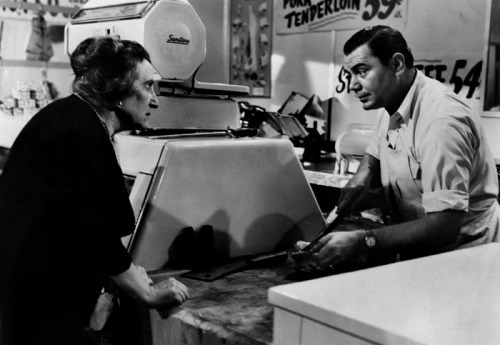 Ernest Borgnine plays a bachelor in the Bronx who finally meets a nice lady who could be right for him, if he doesn’t screw it up. So good at playing boors and bastards, Borgnine could in the span of a single costume change be one of the most irresistibly lovable screen presences anywhere in film. Chayefsky believed firmly in naturalism and was a formative figure in television and film script-writing. This is about as sentimental as his work ever got. For the contributions of those two alone (although that’s not to undermine everyone else involved), MARTY is a necessity. You may have heard this story before. This is the Darren Aronofsky version. Somehow, probably foolishly, I missed every chance to see NOAH theatrically so this is at the top of my must-see agenda. There’s a lot of Tony Jaa out this week. If you haven’t yet been acquainted, start with this trilogy: 2003’s ONG BAK: THE THAI WARRIOR, 2008’s ONG BAK: THE BEGINNING, and 2010’s ONG BAK: THE FINAL BATTLE. These films are primarily vehicles for Tony Jaa’s athleticism, but man can he drive. ONG BAK was a ferocious introduction to what this guy can do; you don’t have to know how to spell “Muay Thai” to see that his Muay Thai skills are redoubtable, but what’s exciting about how Tony Jaa and director Prachya Pinkaew come at onscreen action is how they sweep up and utilize everything — fists, props, set design, camera moves, editing — as part of the violent momentum of the film. You wouldn’t study this film for the wordplay but you can bet some kid coming up is studying Tony Jaa the way Tony Jaa studied Bruce Lee and Jackie Chan. Nick Cassavetes directs Cameron Diaz, Leslie Mann, and Kate Upton in a scene-for-scene remake of the 2003 Sofía Vergara vehicle CHASING PAPI, only probably not that last part. But maybe. Somehow I’m only now hearing about PARIS BLUES, a romantic drama about jazz musicians overseas in France, which between Paul Newman, Sidney Poitier, Joanne Woodward, Diahann Carroll, and Louis Armstrong clearly has one of the most physically attractive casts ever assembled. The score was composed and conducted by Duke Ellington. Can’t believe I’ve gone so long without knowing about a movie like this so I’m happy to know Kino is putting it out on Blu-Ray! Tony Jaa’s latest film, as you can see, is his first with an American co-star, in this case the great musical architect and far-less-great thespian Robert Diggs, better known as The RZA. 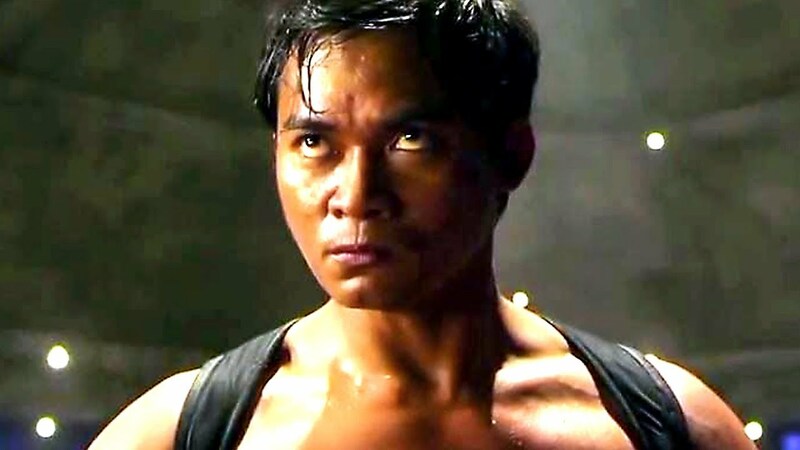 Next year there will be a flood of co-stars to contend with, in FAST & FURIOUS 7, but for now a rapper and producer (and very likely a huge fan) from Staten Island is more than enough for Tony Jaa to handle. No word yet on whether or not the two of them fight in this movie, but if they do, you can see it in 3-D.
Delbert Mann, director of MARTY, soon after mounted this drama based on a theatrical production, and it has a great cast and an even cooler cover image. Burt Lancaster and Rita Hayworth are good like that. Well, this is a big one. Like the Herzog set, this collection may strain the budget for many of us, but like the Herzog set, it’s worth the investment. It remains fairly astonishing to consider that a cinematic artist as distinct as David Lynch ever had a TV show on the air, but he did — for two seasons! — and that is what TWIN PEAKS is. This set wrangles both entire seasons and also the theatrical TWIN PEAKS film, FIRE WALK WITH ME, and excitingly, 90 minutes of unseen footage from the film (deleted scenes and extended scenes), all in one package. David Lynch oversaw all of it, and appears in some very mischievous-sounding cast and crew interviews also, from the sound of it. This series was phenomenally influential and a clear precursor to the artfulness and creative rambunctiousness of so much of the most interesting cable-TV series of today (i.e. TRUE DETECTIVE.) As I type these words, this has been in stores for a week, so a lot of you probably even have this already. That’s it for July — see you tomorrow for the first volley of August DVD and Blu-Ray releases! Prev The DG Braintrust on Rob Zombie’s 31 Crowdfunding!